Section 62 of the 1956 Act provided for a civil liability with more defenses for such a claim. For example, it was open to a person against whom a claim was made to show that upon becoming aware of an untrue statement, he withdrew his consent to issue the prospectus before the allotment could be made. Qualitative defenses were statutorily available under the 1956 Act, to demonstrate reasonable expectations of the person against whom the claim is made. The Companies (Amendment) Act, 1960 amended section 62 of the 1956 Act and accordingly words, brackets and letter "clause (b) of" were omitted from the proviso to sub-section (1) of section 62 of the 1956 Act. Subsequently, the Companies (Amendment) Act, 2000 empowered SEBI to administer the provisions of section 62 of the 1956 Act in relation to listed companies and those which intended to get listed; however, the provisions relating to all other companies were to be administered by the Central Government. The Companies (Amendment) Act, 2000 also vested in SEBI the power to inspect books of account and other books and papers with respect to listed companies and the companies which intended to get listed. SEBI was also authorized to file complaints under section 621 of the 1956 Act for offences relating to issue and transfer of securities and non-payment of dividend. The amendments made to section 62 of the 1956 Act were explained by the Company Law Committee, thus: "This follows English s. 43 and seeks to amend s. 100 of our Act. Two principal amendments may be noted. Under sub-clause (ii) of clause (d) to sub-section (2), the onus of proving that there was reasonable ground to believe that the expert was competent to make the statement contained in the prospectus has now been shifted from the plaintiff to the defendant. This gives effect to an important recommendation made in paragraph 43 of the Cohen report. The other amendment is contained in sub-section (3) which regulates the expert's liability. Under this sub-section, the expert is label as a person authorizing the issue of a prospectus, unless he can establish his bona fides under any of the pleas available to him under the sub-section." This definition, in Section 2(34) of the 2013 Act, substantially differs from the definition of 'director' in section 2(13) of the 1956 Act. As per the 1956 Act, director' included any person occupying the position of director, by whatever name called. As per the 2013 Act, a person appointed to the Board alone will be considered as director. This means that the concept of shadow director will now no longer apply. However ss 2(59) and 2(60) dealing with officer and officer in default do include the concept of shadow director although compliances under the 2013 Act relating to directors is not attracted in case of such shadow directors. The 1956 Act proceeded not on the basis of a formal appointment of a person to the Board but more by the position or function discharged by him. The main difference is the concept of shadow director which is now not contained in the 2013 Act. Section 386(b) of the 2013 Act also provides that the expression "director", in relation to a foreign company, includes any person in accordance with whose directions or instruction the Board of Directors of the company is accustomed to acting. Essentially, it should not be the name by which a person is called but the position he occupies and the functions and duties which he discharges that should determine whether in fact he is a director or not. So long as a person is duly appointed by the company to control the company's business, and authorized by the articles to contract in the company's name and on its behalf, he functions as a director. While a shadow director was earlier considered as a director, under the 2013 Act he will be an officer and an officer in default. He is not considered as a director under the 2013 Act for the purpose of few other provisions of the Act like remuneration. The Articles of a company may, therefore, designate its directors as governor’s members of the governing council or the board of management, or give them any other title, but so far as the law is concerned they are simply directors. The view that "if a person fulfills the functions of a director (whatever they may be) he is to be treated as a director". Unlike under the 1956 Act. This proposition will not hold good under the 2013 Act. The definition, however, presupposes a lawful occupation of the position. Where a person functions as a director without being lawfully appointed, he cannot be treated as a director. English company law possesses some curious features, which may generate various results. A parent company may spawn a number of subsidiary companies, all controlled directly or indirectly by the shareholders of the parent company. 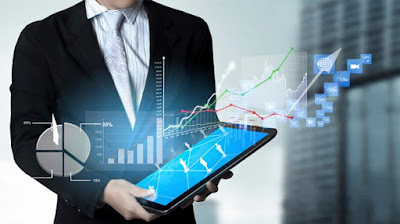 If one of the subsidiary companies turns out to be the runt of the litter and declines into insolvency to the dismay of its creditors, the parent company and the other subsidiary companies may prosper to the joy of the shareholders without any liability for the debts of the insolvent subsidiary. It is not surprising that when a subsidiary collapses, the unsecured creditors wish the finances of the company and its relationship with other members of the group to be narrowly examined, to ensure that no assets of the subsidiary company have leaked away; that no liabilities of the subsidiary company ought to be laid at the door of the other members of the group and that no indemnity from or right of action against any other company, or against any individual is by some mischief overlooked. The anxiety of the creditors will be increased where, as in the present case, all the assets of the subsidiary company are claimed by another member of the group in the right of a debenture holder. In Kleinwort Benson Ltd., versus Malaysia Mining Corporation Bhd., (1989) CA the principle of non-liability was applied even where the holding company had given comfort letter to a creditor of the subsidiary. In Reed versus Nova Securities, cases where observed that the theoretical independent existence of every corporation enables a group of companies to escape liability at common law for the losses of an insolvent member of the group. 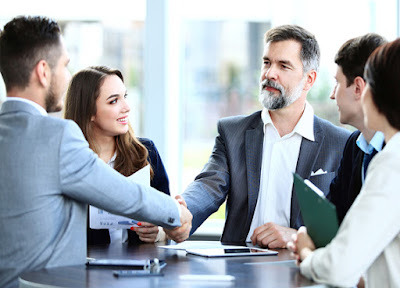 Corporate veil is normally lifted in cases of holding-subsidiary relationship with a view to making the holding company liable for the commitments of its subsidiary unless it has guaranteed the subsidiary's debts. But the question of piercing the veil was held to be irrelevant where the holding company was sought to be held liable for the debt of a company in which the holding company's subsidiary had a substantial interest, particularly when it had not accepted any such liability. Sub-section (1) of s. 33 of the 2013 Act stipulates that no application form for purchase of any securities shall be issued unless it is accompanied by an abridged prospectus. The term "abridged prospectus" has been defined in s. 2(1) of the 2013 Act, as the memorandum containing such salient features of a prospectus of the company as may be specified by SEBI pursuant to regulations made in that behalf. In the 1956 Act, the contents of an abridged prospectus were to be prescribed by the Central Government, whereas under the 2013 Act, it is to be specified by SEBI. 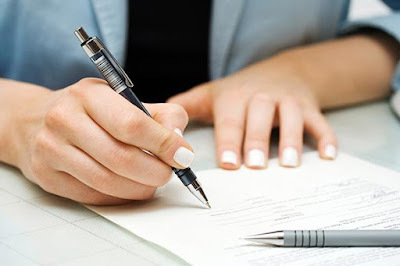 The requirement of sub-section (1) of s. 33 of the 2013 Act will not be attracted if it can be shown that the application form was issued in connection with a bona fide invitation to enter into an underwriting agreement in relation to the securities being offered. So also, an offer of securities not being made to the public need not comply with this provision. Under sub-section (2) of section 33 of the 2013 Act, if any person were to request for copy of a prospectus before the subscription closed, such a copy would be required to be furnished to him. Such an obligation to furnish a copy would lie on the company whose securities form subject matter of the public offer. In an issuance, it is the company that would be issuing the securities on offer. In an offer for sale, the offer document is deemed to be a prospectus issued by the company although the company is not issuing the securities on offer, and all the provisions governing prospectus are to be applied as such even to an offer for sale. Under sub-section (3) of s. 33 of the 2013 Act, a penalty of Rs. 50,000 for each default has been stipulated. The term "penalty" is a reference to civil penalty, contradistinguished from "fine", which can only be imposed by a Criminal Court. Penalties under the 2013 Act may be imposed under section 454 of the 2013 Act by "Adjudicating Officers". Imposition of civil penalty would involve a lighter standard of proof, as opposed to the standard of proof of "beyond reasonable doubt" applicable to criminal proceedings. Government grants related to specific fixed assets should be presented in the Balance-Sheet of the company by showing the grant as a deduction from the gross value of the assets concerned in arriving at their book value. Where the grant related to a specific fixed asset equals the whole, or virtually the whole, of the cost of the asset, the asset should be shown in the balance-sheet at a nominal value. Alternatively, Government grants related to depreciable fixed assets may be treated as deferred income which should be recognized in the profit and loss statement on a systematic and rational basis over the useful life of the asset, i.e., such grants should be allocated to income over the periods and in the proportions in which depreciation on those assets is charged. Grants related to non-depreciable assets should be credited to capital reserve under this method. However, if a grant related to a non-depreciable asset requires the fulfillment of certain obligations, the grant should be credited to income over the same period over which the cost of meeting such obligations is charged to income. The deferred income balance should be separately disclosed in the financial statements. Government grants in the form of non-monetary assets, given at a concessional rate, should be accounted for on the basis of their acquisition cost. In case a non-monetary asset is given free of cost, it should be recorded at a nominal value. When the government has given any subsidy towards repayment of loan and interest thereon, which had been utilized for acquiring fixed assets, the subsidy amount will be treated as subsidy received to meet the capital cost of the fixed assets in the nature of government grant related to a specific fixed asset(s) of the company. Similarly, the subsidy received for payment of capitalized interest is also in the nature of a government grant related to specific fixed asset(s). Such subsidy should, therefore, be credited to deferred income or deducted from the gross book value of the asset(s) concerned; and its credit to Capital Reserve is not appropriate. Also, credit to deferred income account cannot be utilized for set-off against accumulated losses. A gift received by a company for the specific purpose of acquisition of capital asset say machinery is in the nature of capital based grant. 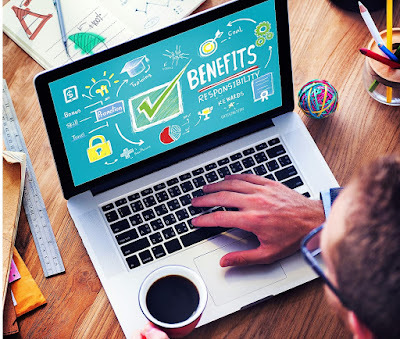 The amount of the gift may either be (i) deducted from the cost of the specific fixed assets for which the gift was made available, or (ii) kept in a special reserve and a proportionate amount transferred annually to the profit and loss account with reference to the life of the machinery. Section 174 of the Companies Act, 1956 (the 1956 Act) provided for quorum for general meetings. It stated that two members personally present formed quorum in case of a private company and the minimum number of members required to be present in person for forming quorum was five in case of public companies. The said section also provided for adjournment of meeting if quorum was not present within half an hour of time appointed for holding the meeting. If at the adjourned meeting quorum was not present then, unless it was a meeting called by the requisitionists, the members present formed quorum. If however the requisitionists had called a meeting and if at the meeting necessary quorum was not present then the meeting would get adjourned as in case of other meetings to the same day, time and place or such other place as the Board may determine and if at the adjourned meeting quorum was not present within half an hour of the scheduled time of the meeting then the meeting stood dissolved. This section corresponds to s. 174 of the 1956 Act. Provision of adjourned meeting continues as before under the 1956 Act with few changes but the quorum in case of public companies is now linked to the number of members in the company. As per s. 174 of the 1956 Act, the quorum for a public company was uniformly 5 members present in person. It was irrespective of the number of members in the company. However, now as pers. 103 of the 2013 Act, the quorum for a public shall be determined on the basis of number of its members. If the total number of members of a public company is not more than 1000, then the quorum will be 5 members present in person. If the number of members is between 1000 and 5000, then the quorum will be 15 members present in person and if the total number of members is more than 5000, then the quorum will be 30 members present in person. In case of adjourned meeting or change of time, place or day, the company has to give at least 3 days notice to members either individually or by publishing an advertisement in the newspaper as provided in the proviso to sub-section. (2). In the 1956 Act, there was no such requirement. A meeting called by requisitionists shall stand cancelled where quorum is not present as required at the scheduled meeting within half an hour and at the adjourned meeting." The quorum of five or fifteen or thirty members (as the case may be) personally present in the case of a public company and two members in the case of a private company means a quorum of members entitled to vote in respect of the items of business on the agenda of the meeting. Articles may provide for a larger number as quorum. If votes are cast electronically and requisite quorum is not present at the general meeting the provisions of s. 103(2) and (3) of the 2013 Act will apply and if at the adjourned meeting (not being a meeting called by requisitionists) the members present shall form a quorum and the resolution shall be deemed to have been passed on the date adjourned meeting. The object of insisting on the publication of the name and address of the company as detailed in section 147 of the 1956 Act is to make the company itself continually to bring to the notice of all those having any dealings with it the fact of its being a company with limited liability. This is the rationale behind s. 123) of the 2013 Act as well. The provision to s. 12(3) of the 2013 Act also ensures that the words "One personcompany" be to the name. This is so persons dealing with the company are aware of the fact. Similarly section 12(3) now also requires the older names of the companies to also be printed if the name had changed in the last two years). This is so persons are able to identify the company by its old name as well, before the new name is established and recognized. Publishing the name in a name board "on the outside of every office" does not require that the board should be kept outside the compound wall of the building. It is enough, if it is affixed just outside the office premises. The requirements of the section do not 'however' preclude a company from carrying on business in other names also, while not concealing its own name as the owner thereof. The use of abbreviation Ltd.' instead of 'Limited' or 'Co.' 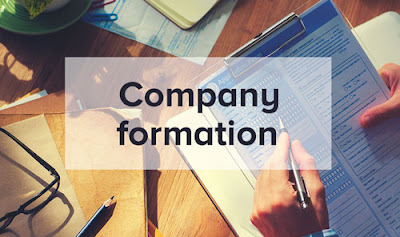 for company or similar abbreviations does not make the name of the company incorrect and does not render the directors or other officers personally liable. However, omitting the word "limited" completely is a breach. A company secretary signing without using the word "limited", was held personally liable. It is a breach to abbreviate a proper name to an initial. Durham Fancy Goods Lid. V Michael Jackson (Fancy Goods) Ltd, (1968) 2 All ER 987 where Michal Jackson was abbreviated to 'M Jackson' and this was held as not capable of conveying the full word unambiguously as 'Ltd.' and 'Co.' are capable of doing. A minor mistake in the spelling of the name of a company does not invalidate the advertisement for winding up. Omission of the word Limited' from the name of the company and describing the company as 'Firm' is a mis-description which can be corrected and is not fatal to the suit.